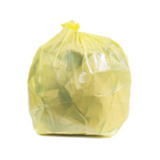 These heavy duty garbage bags are made of 1.6 Mil low density plastic. 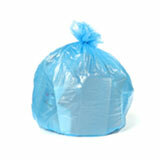 They are a great choice if you need a sturdy, flexible, puncture-resistant garbage bag for home or work. 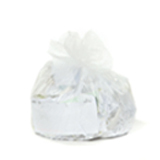 The official name for the plastic used in these trash bags is Linear Low Density resin, and it’s pretty tough stuff. At this thickness these bags are strong enough to stand up to the rigors of a commercial kitchen. 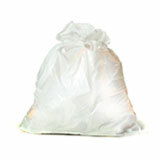 Low density trash bags are the best choice whenever you are worried about trash poking through a bag. Nobody likes leaks, so choosing the right garbage bags is important. 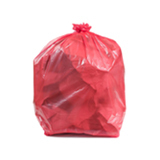 Material matters, but thickness is important too, which is why we offer so many grades of garbage bags. The rougher your trash the heavier the bag should be. Of course, thick garbage bags cost a little more, so calibrating exactly the strength you need is important. 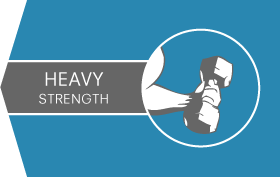 The 1.6 Mil weight is very versatile, striking a balance between thickness and cost. But that’s not the only choice to make. Size really matters too. 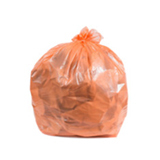 Small garbage bags in a big trash can just slip down, while extra large garbage bags which swamp their receptacle are awkward and wasteful. Our menu on the left will let you narrow down your choices in a few clicks, but if you have any questions about ordering bulk trash bags, let us know. 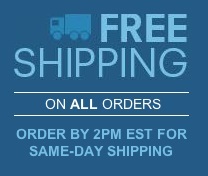 We’d love to guide you through your choices to make sure you always order the perfect garbage can liners. 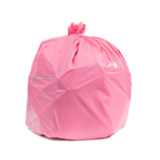 After all, we offer a 100% satisfaction guarantee on all of our trash bags. 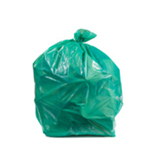 From waste basket liners to recycling trash bags, we’ve got you covered. 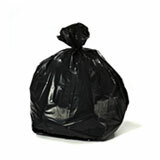 You can save money and time for your home and business by ordering wholesale garbage bags from Plastic Place. It couldn’t be easier, so give us a call today.